All Florida Paper services a large number of restaurants throughout the State of Florida, with all the packaging and janitorial products needed on a daily basis. With strong alliances with the leading suppliers in this industry, we will bring innovative products that will set you apart from your competition. 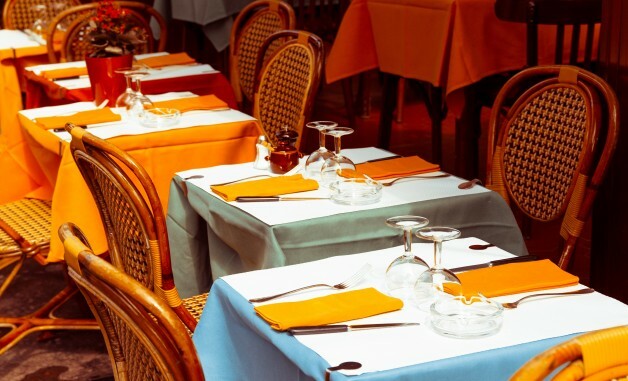 From napkins, straws and take-out containers, to cups, plates, and foil products, All Florida Paper can develop a customized program that will provide you with the best products which will make your customers want to return to your establishment. No matter what your business concept is, we will work with you to beat your competition through value added products, quality service, competitive pricing and the the highest level of integrity throughout our relationship. Our team of sanitation and warewash experts will ensure that you are equipped with all the equipment necessary to get every piece of china, silverware and all your utensils sparkling. We will provide a sanitation and safety program for your kitchen and restrooms which will include the training of your employees, logs designed to make certain that our program is followed on a daily basis, as well as and monthly reporting after our inspections. We simply want to be part of your day to day success.